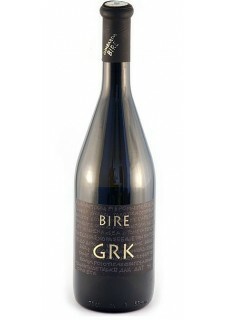 Grk, the indigenous grape from Dalmatian island Korčula is, along with Pošip, the most potent local white grape variety. It grows only around Lumbarda, a small town at the southern end of island Korčula. Grown on stony and sandy soil, it has strong minerality with very good acidity which gives freshness despite very prominent body. This wine, produced in tiny amounts (8.000 bottles) is really unique! Frano Milina Bire is the only winemaker who has ecologically grown vineyard of this grape. Food pairing: with risotto, Oysters and other seafood.